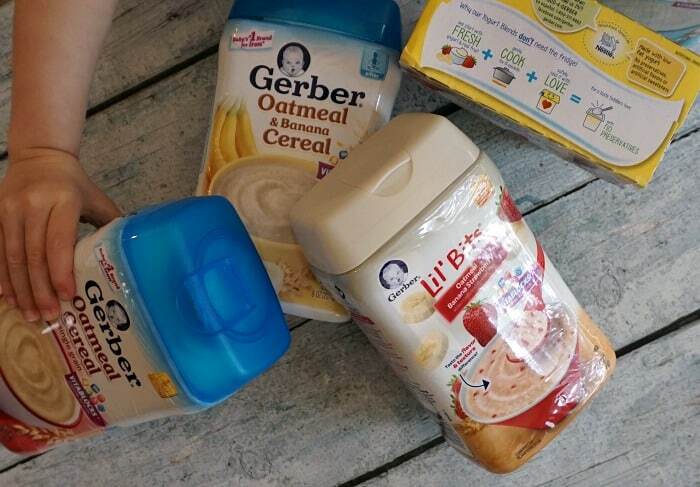 This is a project of The Women Bloggers and Kendal King Group on behalf of their client, Gerber® Cereal. All opinions expressed herein are 100% mine. Well, I really surprised myself on this one, my lovelies. I made cookies for breakfast (really no surprise there, honestly), with only 3 ingredients. Yeah, that’s the surprise that surprised me. And, as we all know, breakfast is the most important meal of the day, so they’re healthy, packed with vitamins, minerals, fruit, and everything else good for you, in a quick-and-easy package that (literally) took me 2 mintues to whip together and 12 minutes in the oven. 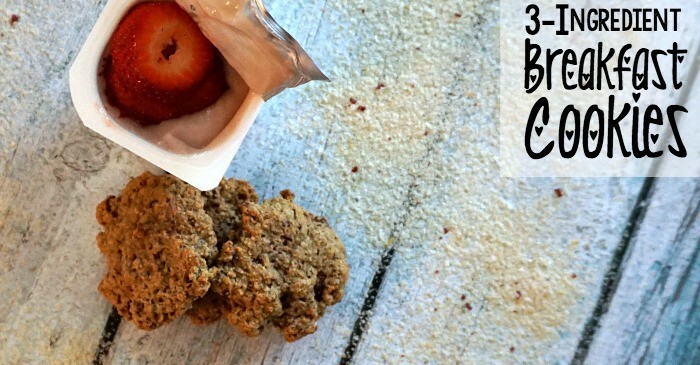 These 3 Ingredient Breakfast Cookies–the best breakfast I’ve had in a long time, can be made while I’m getting a shower. That fast. And, therefore, I love them. Heh. As you know (if you’ve been reading the blog a while), I’ve used baby oatmeal for recipe substitutions like in my Edible Cookie Dough recipe, but I’d never gone so far as to COOK the cookie dough before…and WOW was I pleased. 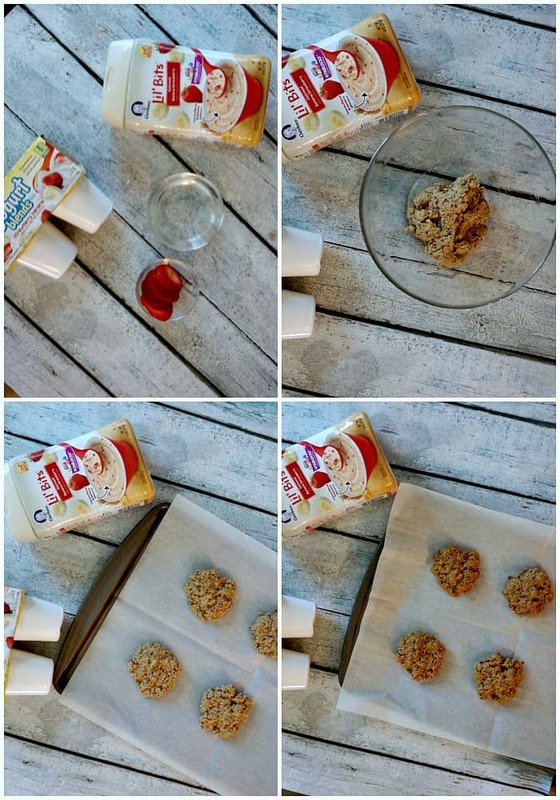 These 3 Ingredient Breakfast Cookies baked just like a cookie with all those ingredients that take forever to measure-out. So, yeah, 3 ingredients?! I’m in. You don’t have to use exactly what I did, but I REALLY liked the strawberry, banana, oatmeal cookies…but there’s other options. 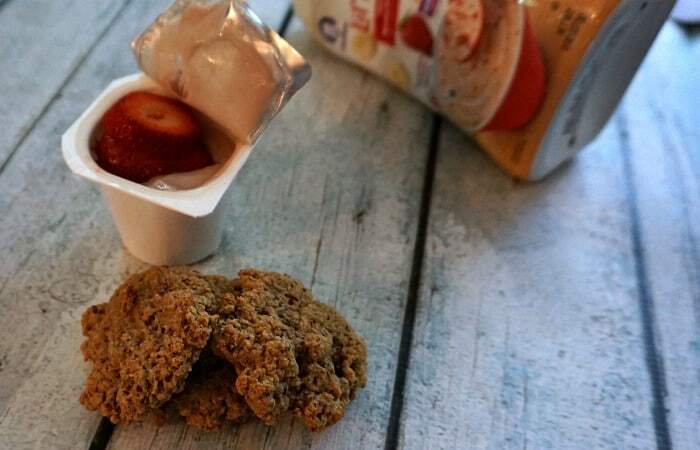 Seriously, there’s a ton of flavors of the Gerber yogurt–and the Gerber cereal, available at Walmart, including Oatmeal Single Grain (what I used for my Edible Cookie Dough recipe), Multigrain Cereal, Oatmeal & Banana Cereal, and (what I used for the 3 Ingredient Breakfast Cookies) Lil’ Bits Oatmeal Banana Strawberry. I guess I could have used any of these for the cookies, but I was really liking the idea of little bits of strawberry in my cookies–er, breakfast. Heh. Because I know so many of you love running with scissors…here’s your photo tutorial. And others like wordy-words…like me. So, here’s the recipe. 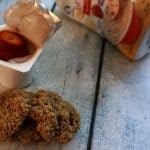 These 3 Ingredient Breakfast Cookies--the best breakfast I've had in a long time, can be made while I'm getting a shower. That fast. And, therefore, I love them. Heh. Dip in some additional yogurt and enjoy! I love that the Gerber brand has a conscientious and health-centered vibe–kind of like me. Makes me want to experiment more with their products…sneak some more good vitamins into our treats. Heh. 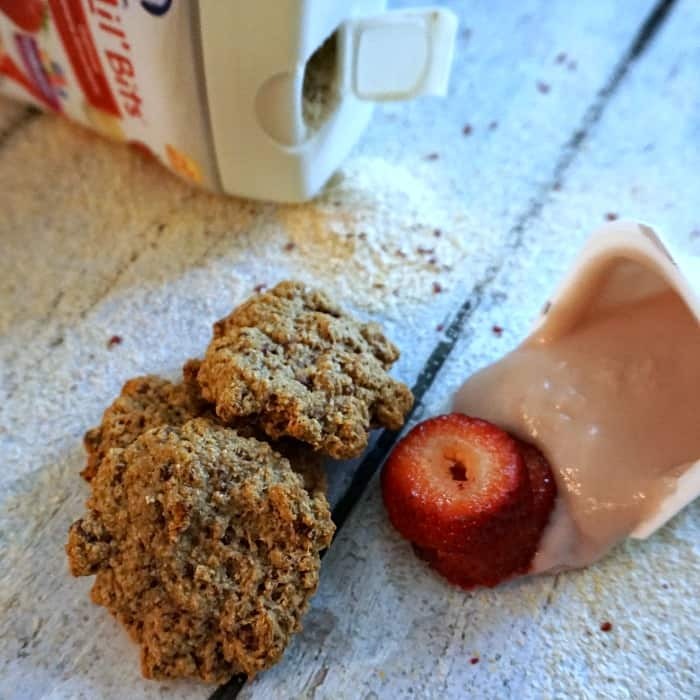 For more awesome recipe ideas, head over to Gerber’s recipe index and find something awesome to make (but only after you’ve made a batch of 3 Ingredient Breakfast Cookies, come’on! LOL! ).